Love is always in the air when you're around me! I can't not stop gushing about how amazing my sweetheart clients are! I don't always like doing posed looks during every minute of the session. Sure, I'll put y'all together in a certain way, but as soon as I'm in my spot, the natural connection comes out. Danielle + Zac were truly a couple that were so natural with one another that I really didn't have to ask questions, I just felt like I was having fun with friends than working! And that's how it should be! I love being able to capture emotion that isn't forced and is natural! 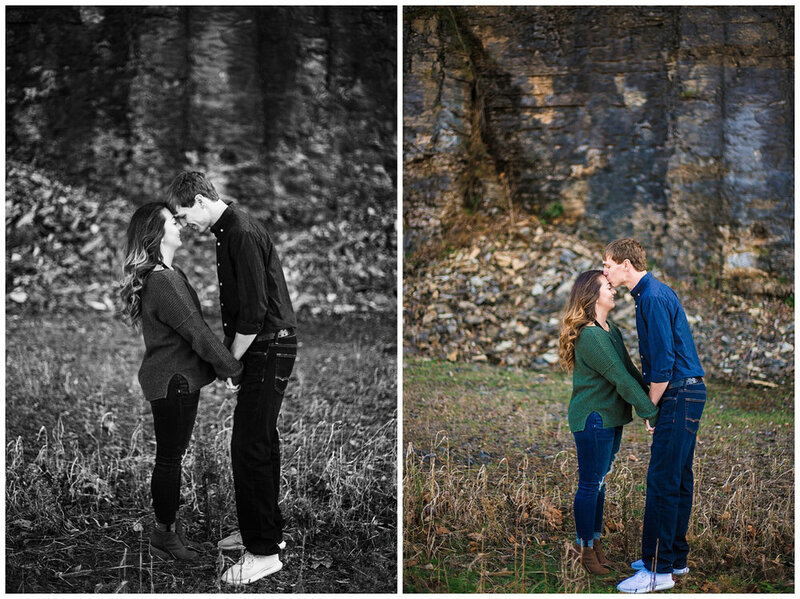 If you love emotion that isn't forced or fixed, then scroll on down and check out Danielle + Zac's sweetheart session at Green River!